Birth was not registered until 9 October. 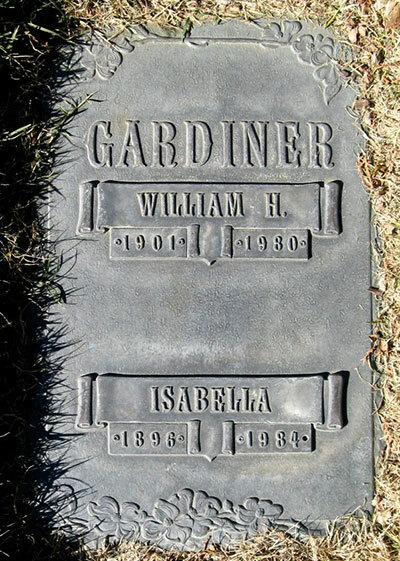 Cousin to Ellen Gardiner, wife of her brother Richard James Sinton. Isabella was originally booked to travel on the R.M.S. 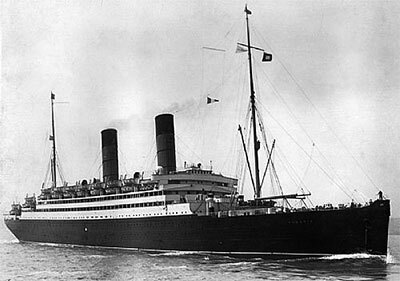 Aquitania which arrived in New York on January 30, 1921, but her name has been struck off on that manifest. Living with her brother Richard Sinton. 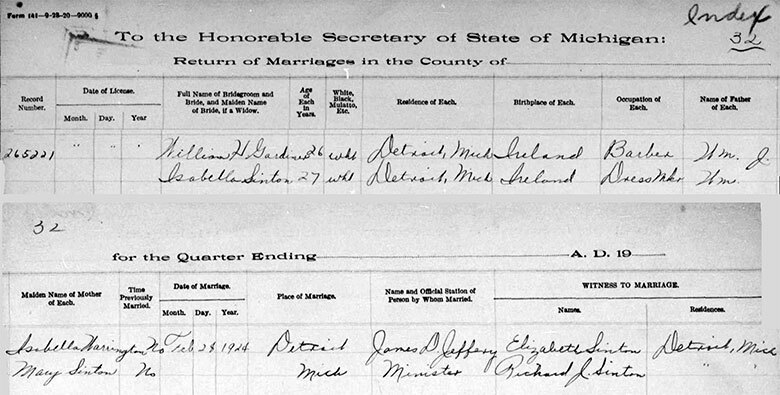 She lived in Detroit for 4 years between 1916 and 1920. Built by John Brown & Company, Clydebank, Scotland, 1905. 19,524 gross tons; 678 (bp) feet long; 72 feet wide. Steam quadruple expansion engines, twin screw. Service speed 18 knots. 1,550 passengers (300 first class, 350 second class, 900 third class). Built for Cunard Line, in 1905 and named Caronia. Liverpool-New York service. Armed merchant cruiser, then troopship during World War I. Scrapped in 1933.